Christian Tissier Shihan (8th dan) is one of the world’s most respected and influential aikido masters today. He was a pioneer of the French aikido scene and founded Dojo du Cercle Tissier (website is in French) in Paris, which teaches aikido as well as a broad range of martial arts and movement arts. He is also a founding member of the Fédération Française d’Aïkido Aïkibudo et Affinitaires (FFAAA), one of the two state-recognized aikido governing bodies in France and often serves as an instructor at major international events. 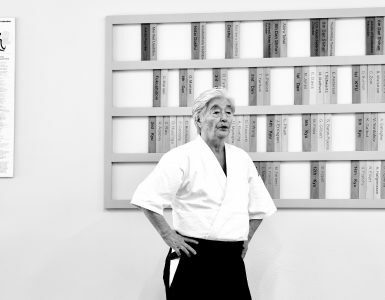 He has been practicing aikido for over 55 years, including seven years at the Aikikai Hombu Dojo in Japan. 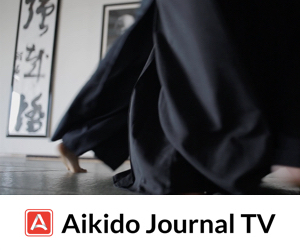 Aikido Journal (Josh Gold): Thank you very much for joining us today. Christian Tissier: Thanks very much for having me. I was hoping you could spend a few minutes talking about your dojo, Cercle Tissier. One of the things we’d like to do at Aikido Journal is to share some different models for successful dojos within our community. Could you talk a little bit about the history of your dojo, the types of programs you offer at your dojo, how large it is, and so on? Of course. I opened this dojo in Paris in 1980, after I came back from training for several years at the Aikikai Hombu Dojo in Japan. At that time, I was living in Paris and teaching almost every day of the week. We had large numbers of people coming to train. Now, I’m not in Paris anymore; I live in the south of France and come to Paris only one or two days a week. The number of aikido students has decreased a little bit in the recent past because some of my senior students now teach at their own dojos. But for the moment, we are have about 200-250 people in our aikido program. For my teaching schedule, I go to Paris on Tuesday mornings and teach at noon and in the evening. I sometimes teach on Wednesdays. For the other days, I have four assistant instructors: Patrick Benezi (7th dan), Bruno Gonzalez (6th dan), Pascal Guillemin (6th dan), and Fabrice Croizé (5th dan). All of them are professional, full-time aikido instructors. They teach in my dojo, in some other places, and at various seminars. We have about three classes a day — one at noon and two classes every evening, except on Saturdays and Sundays. And are there any other martial arts that are taught there? Yes. At Cercle Tissier we teach various martial arts, so we have very strong instruction in karate, jiu jitsu, judo, ninjutsu, hapkido, krav maga, MMA, tai chi, and more. Most of the martial arts you can imagine. We also offer instruction in yoga, pilates, and various forms of dance. So altogether we have 3,000-3,200 people. Really? Over 3,000? That’s incredible. So of all the arts that are taught there, which are the most popular right now? For the moment, aikido. Of course, Brazilian jiujitsu is also quite popular, and many people come to learn boxing. But when I say boxing, it’s not to fight in a ring — it’s more for fitness, which is interesting. So we know that things are changing now. In the classic martial arts, like judo, karate, and aikido, the numbers are somewhat stable, but not increasing for the moment. People tend to be busy or perhaps they have a few other hobbies they want to pursue. They aren’t likely to focus all of their time on learning, say, karate. We have to think about these kinds of changes when planning for the future of martial arts instruction. What do you think about cross-training? Do any of your aikido students practice other arts at your dojo? Yes, some of them. Some of them train in boxing — mainly young people, ones who want to become aikido instructors, but who also might want other experiences. In karate, jiujitsu, and boxing, there’s much more contact and competition than aikido. Sometimes it’s good for people to have some experience in other arts, especially if they wish to pursue teaching in aikido. They might cross-train once or twice a week. I think it helps because they learn other ways of handling contact and how to approach a martial art or sport. I understand. 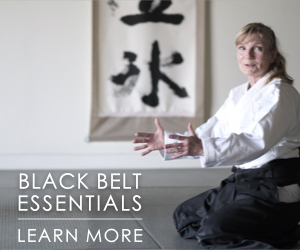 Have you set up your dojo to host special seminars or guest instructors on a regular basis? Well, sometimes in my dojo we have guest instructors, but usually it’s because I’m letting an instructor from somewhere else use the dojo space because it can be difficult to find venues. When we host some other instructor, usually they’re from Japan. Last February, we had a “four 8th dan” seminar in Paris with Endo Sensei, Miyamoto Sensei, Yasuno Sensei, and me. And we had about 1,800 people attend over two days. Wow. That’s a lot of people. Yes. People came from all over Europe and also from America. It was a very big event. 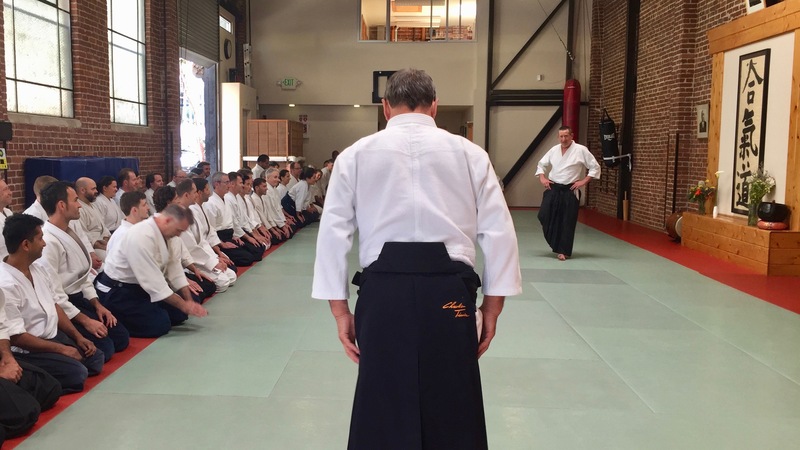 It’s not as worthwhile for us to host small seminars — it’s much better to create large events, because what we need, in aikido, is to bring lots of people together. It’s not quite enough of a draw to have just one guest instructor, but if you have two, three, four, or five high-level instructors, it’s much more noteworthy. You can make something like that into an event. But once a year, no more. I’ve spoken recently with a few fairly senior-level instructors in the United States and one of the things that they are focused on is trying to find ways to make sure that mid-level instructors — people who are maybe 4th dan, 5th dan — are able to grow into more senior-level roles from a technical and teaching perspective. I think there’s a transition that must happen, where somebody who’s been training for 20+ years can go from a point where they’re technically very proficient to one where they’ve internalized the art, developed their own unique expression of aikido, and are able to pursue their own development without so much direct oversight. Basically, to transition from a highly skilled technician to someone who would embody what people typically expect from a shihan (regardless of any titles or rank.) How do you think about guiding people through this phase of development? Yes. 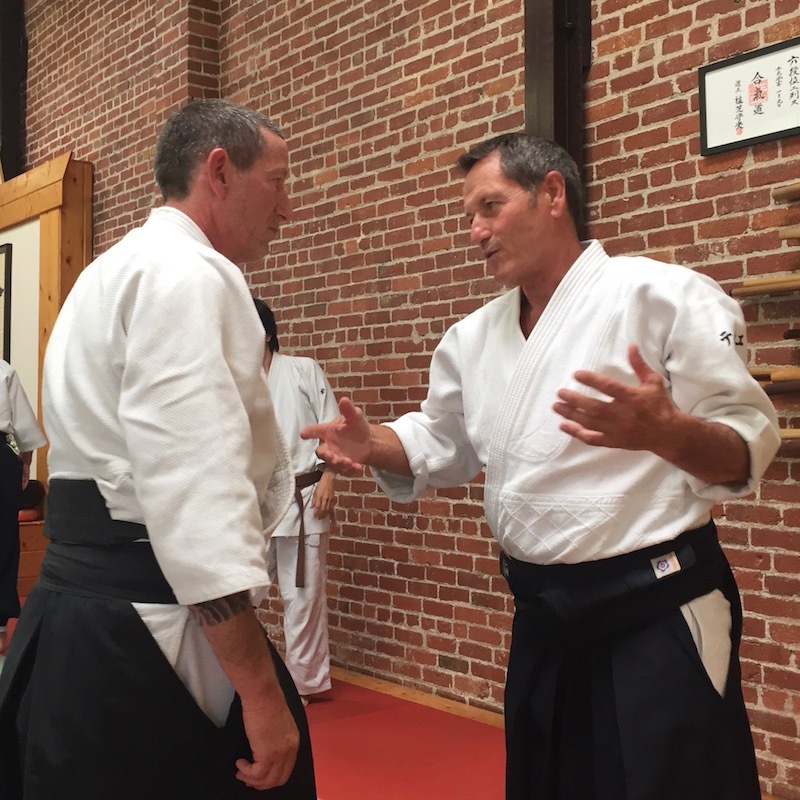 You know, you can’t say to somebody, “Okay, come to my dojo and I’ll prepare you to be an aikido instructor.” Sometimes, some people say, “I want to be a professional,” and come to us to get training and see if they have the capacity to reach that level. You do need to train for a very long time and in my opinion you need to have very, very good basic technique already. Sometimes, I say to my students, “I don’t teach what I do for my own sake.” When I teach, I teach what people need. What people need is to have a common background and exposure to a range of practice. I want my instructors-in-training to go to Japan, Sweden, or other countries to see another Shihan. I want them to be able to read what the Shihan is doing and understand it, no matter what style the Shihan is practicing. Everybody’s style has a slightly different feel to it, but sometimes, even when developing this unique feel, they need to have a manual or something to guide them. And they also need to gather together as people. That’s why the events I was just talking about are so helpful. People from many different countries come together and can practice together and experience my instruction. And when they practice, they don’t do what I used to do, they do what I show them at that event. What I show is always different every year. Not because I want to change, but because the feel of what I do is always evolving. When all these people come together, something interesting happens. They want to learn, yes, but they’re not beginners, so it’s about more than just training. It’s about understanding the feeling. So they want to continue to learn and study and to practice together, because they all have this goal in common. So when I teach, I try to motivate people to travel and come to these events, because it’s very important to have all these people coming together. Some of them have been coming for 30 years, 35 years, and they are still on the mat together, even if it’s just a few times a year. The practitioner who goes to these events feels like they can practice with these people, not just be taught by someone. The point of the experience is to practice together and feel what these other people are able to do. 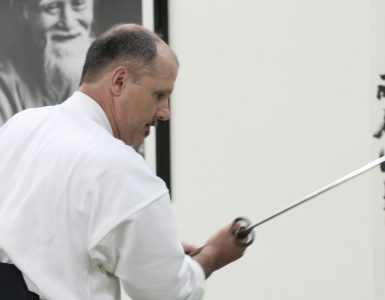 It sounds like you place some importance on having instructors at this level get exposure to many different Shihan and also practice with other instructors at their own level to feel what their peers are doing. I think these are excellent insights. Another thing that I wanted to talk about a little bit is local communities. I know it’s a little bit different from country to country, but in the United States, at least from what I’ve seen in a few different regions, there are many dojos, but the communication and interaction between them is fairly limited. For example, where I am in Irvine, California, we probably have ten dojos or more within a ten-mile radius, yet we don’t really have a good communication infrastructure with each other. Sometimes, some of us will get together for events, or to talk, but not very often. So I want to know if you had any thoughts on how local aikido communities should think about interacting or communicating with each other. Is it important? Is it not important? Well, I think it’s very important to have communication, because if you want to improve, you need to meet some other people and share experiences. I understand that many teachers in some countries, they go up a few dan, up to 6th dan, and do nothing else besides teaching, and they’re happy with that. In our countries in Europe, it’s completely different. First, in France, all dan grades have to be sanctioned by the government. Otherwise, you can’t claim you are a dan grade in any way in France. There are dan grading sessions that are conducted in front of judges sent by the two French aikido federations: the FFAAA and the FFAB. For example, next June, we’ll have examinations in Paris for shodan and nidan. There are over a hundred people coming, they don’t know each other, and they can’t choose their uke. I don’t think this is good or bad — it’s just the situation. In France, and also in some other countries, if you want to take an examination for shodan, you must have three stamps of seminars on your passport. That means you have to go out of your dojo to train — if you don’t go out of your dojo, you don’t get the stamps and you cannot qualify for the examination. People in Europe are used to going to these group events because they need a stamp. People are used to getting to know other people because of the examination requirement. There is a culture across countries because, I think, all of them are much smaller than America and they are right next to each other. And when aikido started in France, we had a few of these instructors from Japan who were taking care of the whole country and traveling everywhere, so if you wanted to find a sensei, you had to travel. That’s why people are used to being together on the mat with all kinds of other students they don’t know. That’s why we have very big events, so we can invite high-level leaders. I think these are some of the reasons for the differences between Europe and the United States. It may take more than that to encourage this kind of cooperation between dojos and students in America. Maybe it’s important to have a strong leader like Yamada Sensei or some other. Maybe somebody now has to rise up and make people dream again. Speaking of seminars, and bringing people together, I know that you’re coming out to San Francisco on May 18-20 to lead a seminar at the 11th Street Dojo. You’ve done this for a number of years and it’s almost a historic tradition at this point. I remember Stanley Pranin used to go to this event whenever he could. Could you share a little bit about the history of this event and what it means to you? Yes, well, as you know I move around very much to teach, mainly in Europe, but also in China and Japan. Some years ago, I decided that I didn’t want to go to the United States to teach because at that time there were so many good teachers already, like Chiba Sensei, Yamada Sensei, Saotome Sensei, and others. There was no need for me to go there. 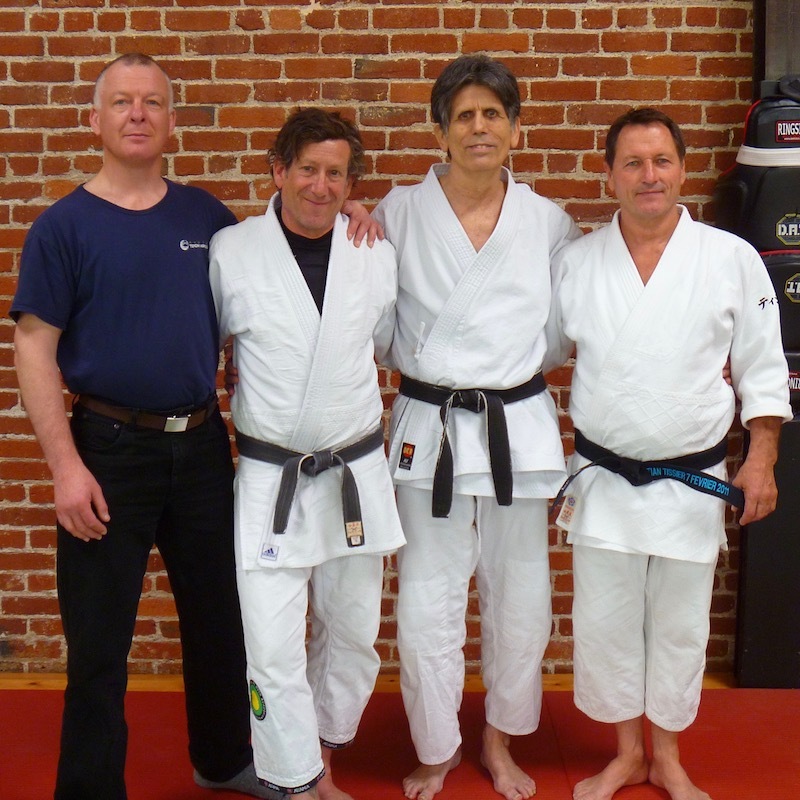 Then Jimmy Friedman (the head instructor of 11th Street Dojo), who I met in France, once came to my dojo asking me to come to his dojo in San Francisco, teach some aikido, and have some fun. This all came about because I knew Jimmy — I like him very much, he’s a very nice man, clever, and very funny. I said, “Okay, it would be nice to spend a few days with you.” That’s how I started to visit this dojo. But, as you know, it’s a very small dojo. Right. It can’t hold 1,000 people like the venues for some of your other seminars. Well, yes. And I thought that would be fine. I didn’t want to disturb other teachers in the United States, so we decided not to publicize the visit too much. I had no intention of recruiting “Christian Tissier students.” It was just for people who were interested in what I do. So that’s the way we decided to work with Jimmy. It’s more of a tradition of friendship than anything else. Now when people ask me to come to their dojo, I usually can’t go because if you go once somewhere they ask you to come once again and I don’t have enough time. Anyway, I must say, the people I’ve met in San Francisco for three, four, five years now — they are great. It’s really an interesting experience. The students are not very advanced necessarily, but they are very interested. What I show there is relatively basic. But, little by little, I’ve made strong connections with some of them. That’s great. It sounds like much more of an intimate and personal event than some other seminars. So, when you come out this time, is there anything special that you’ll focus on for the seminar? Well, we’ll see, but I’m working very much now on iriminage and shihonage. Because I think I understood something, something I felt with Yamaguchi Sensei and had in my mind and in my body, but was not able to do. For years and years, I was thinking about it. There’s a kind of technique there that I want to explore. That sounds very interesting. There’s one final thing that I wanted to get your feedback on. 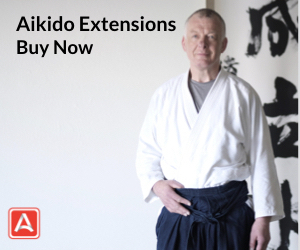 Last time we spoke, you mentioned the importance of having a common technical language among aikido practitioners. 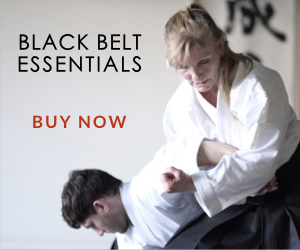 The idea that different styles and teachers may have unique expressions of aikido and perhaps specializations that go beyond the core classical aikido curriculum, but everyone should have a common set of basics they can use to relate to each other on the mat. Another kind of commonality that seems important has to do with our culture and our codes of conduct. Regardless of technical style, is there any sort of fundamental code of conduct that you feel everybody should follow? We have etiquette, and everybody knows those rules. Beyond that, I think people should have sincerity and respect. 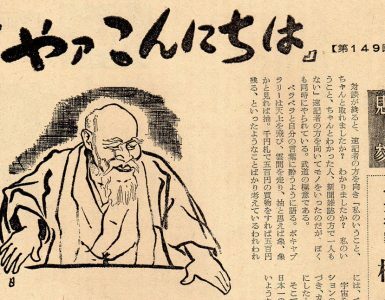 If you have sincerity and respect, your approach to aikido is quite humble, because even if you feel you’re good, there’s always somebody who can bring you further. You need to respect people because you can’t judge. You can’t say, “My style is better than your style,” or these comments like we see sometimes on the internet. So you will never hear me say anything like that. Some people might come from small dojos that only have a couple of shodan or nidan and don’t have much access to senior level instruction. But okay, that’s great, because they do what we do, and they do it with sincerity. We have to respect these other people, no matter their background. To respect someone doesn’t mean being buddy-buddy all the time. To respect them is to say, “Okay, I do it that way, and they do it another way, but they have their own reasons. If it doesn’t hurt people, it’s no problem.” That’s all I want. Thank you Sensei. I think that covers just about everything that I wanted to ask today. Is there anything else that you wanted to talk about or share? It’s great to have another chance to talk together and to share some of our experiences. And I want to say thank you for taking over Aikido Journal from Stanley Pranin, a really great man. I was really sad when he passed away. So thank you very much for continuing this work. Special thanks to Gustavo Rearte and Anne Lee for their photography. I would love to know what new insights Tissier has into iriminage and shihonage. Am a bit excited to see Tissier Sensei again next week. We need to bring people together – have sincerity and respect – be humble – values that we need not just in Aikido but everywhere. Values which are being shredded in modern “society” which is fast becoming anarchy. Only if decent people in authority stand up for those values will they be maintained – otherwise they will always be undermined by people who have no respect for anything because they are so mentally damaged and refuse to take responsibility for their lives – ie criminals. 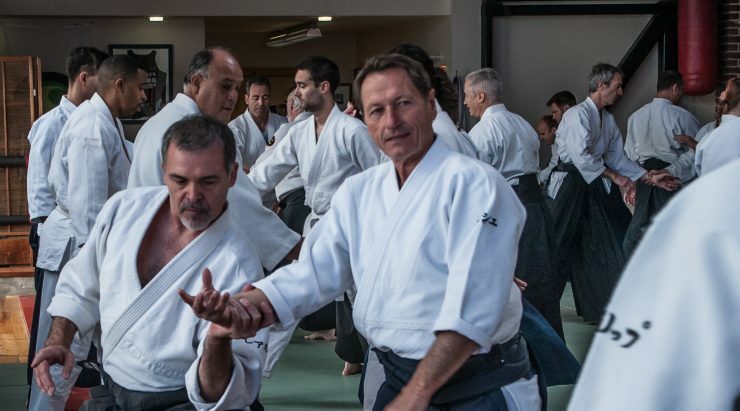 My experience with Aikido here in France (I am British) is that many of the high level instructors that I have encountered do not represent the values of Aikido and are on an ego trip. They do not have a higher purpose and are not truly interested in real personal development – only technical Aikido skill. This is of course just a reflection of the general degradation of society since the 1960s – 70s. Aikido cannot fix the world but at least those who lead it should be of strong moral fibre – unfortunately many of those who are its representatives do not aspire to higher values of human conduct. Those who do, like Christian Tissier and others, must act to support those values and not tolerate them being undermined. we could do with better inter Dojo communication here in Australia. Over the years I have had more contact with non Aikido Dojo (politics and ego are a cancer).